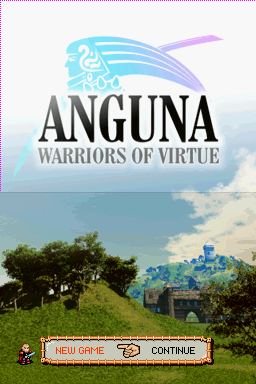 Anguna is a homebrew game for Nintendo DS, featuring art by Chris Hildenbrand. It was released in 2008. 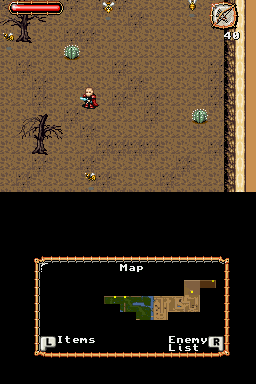 5 dungeons and a large overworld to explore. 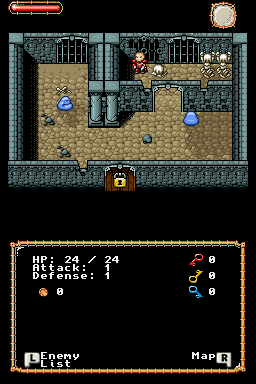 Multiple weapons and items including: a sword, bow & arrows, bear traps, dynamite, lantern, magic boots, and more. 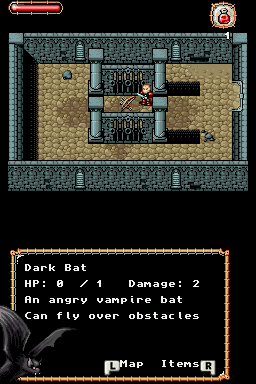 Many hidden rooms, secrets, and powerups. 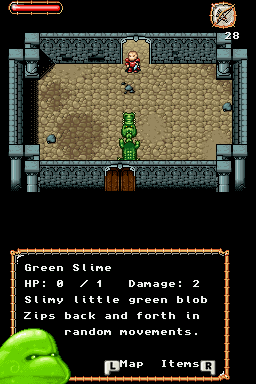 Lots of interesting enemies and boss monsters. NEW Bonus Ice Dungeon with Warp Ring powerup.